As the case of the foiled school shooting up in Everett this past week shows, we’re not making even the obvious, easy fixes to the gun violence epidemic. The other day in a Snohomish County courtroom, there was a moment that exposed our gun laws for what they are: a moral and practical fraud. Prosecutors were ringing up Joshua O’Connor, an 18-year-old high-school kid, on charges of attempted murder for allegedly planning a school shooting in Everett. His case made national headlines when his grandmother turned him in. In court on Wednesday, the prosecutor portrayed O’Connor as a now-familiar strain of American nightmare: brooding, alienated, obsessed with guns. O’Connor was such an admirer of the 1999 Columbine shooting that he bought a similar style of semi-automatic rifle used by the Colorado teen killers, prosecutors said. He then hid the gun in his guitar case in his bedroom. At this point, O’Connor’s defense attorney, a public defender, pointed out what should be a national embarrassment, but instead passed without notice. There’s nothing illegal about any of that, she said. Eighteen-year-olds are allowed to go buy semi-automatic assault-style rifles, with no license, registration or training of any sort. Then hide them in guitar cases in their bedrooms if they wish. Now, O’Connor also allegedly used his gun to hold up a convenience store, which, if true, is a serious crime. But the public defender is right: Nearly two decades after Columbine, a massacre that was going to change the nation’s laws and culture, we have instead not budged on even the easiest, most obvious things. We still allow teenagers to go buy assault-style rifles. It just happened again, down in Florida — that shooter who killed 17 at his old school Wednesday legally bought the murder weapon, an AR-15, at the age of 18. He was a bad-enough actor he got kicked out of school. But law enforcement says his gun purchase was A-OK. The law on this point makes no sense even if it weren’t facilitating mass murder. You can’t buy a handgun until you’re 21 — the same legal age for a host of other adult things, such as buying a beer or gambling at the Tulalip Casino. But an 18-year-old who can pass a background check can hop over to Cabela’s, or a local pawnshop, to get the Columbine gun (believed to be a Hi-Point carbine rifle, with 10-shot magazines). Prosecutors may paint this as ominous in court. But it’s really just life in America. 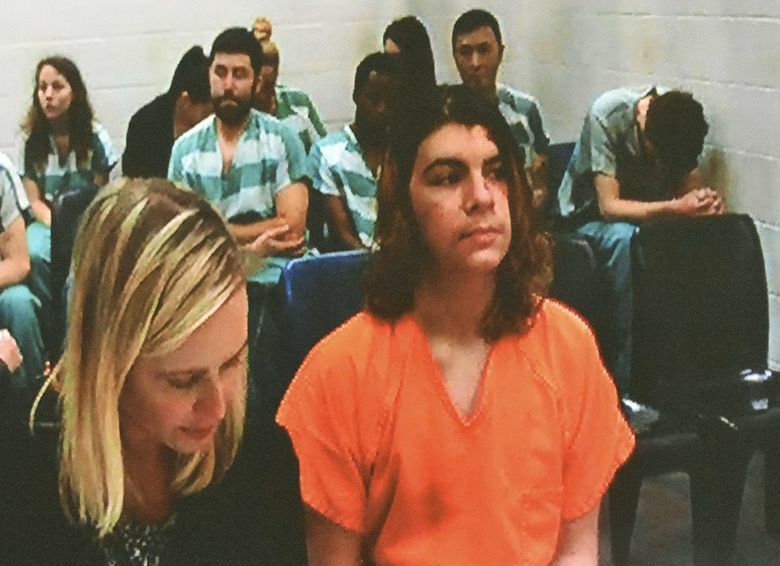 Remember a few years back, when a Mukilteo teenager bought a new Ruger AR-15 at the outdoor store, but then was so clueless how to use it he had to read the gun instructions for two hours before shooting up a party, killing three classmates? That case cried out for an obvious fix: Make the age for buying semi-automatic rifles the same as for buying a handgun, 21. It surely won’t stop all gun crime, or even most of it. But at this point, after averaging about 10 school campus shootings per year since Columbine, making it harder for impetuous teenagers to get assault-style rifles at least deserves some consideration, no? Not in our own state Legislature. A bill was introduced this year to make this change. At the public hearing for Senate Bill 5444, the story was told about the Mukilteo killer having to read his gun’s instructions. The bill passed one committee, and then stalled. The Senate Majority Leader, Sharon Nelson, D-Maury Island, was quoted this past week waving the white flag. She said residents would have to make gun laws themselves through the initiative process. The guy who bankrolled two past gun-control initiatives here said the state is widely supportive of more gun control, and the Democrats are gutless. Exactly right. From Columbine in 1999 to Florida last week to the roughly 170 school campus shootings in between, there has been a colossal failure of nerve and leadership. The kids are noticing. It’s long past time to quit hiding behind thoughts and prayers and just take a damn vote. Information in this article, originally published Feb. 16, 2018, was corrected Feb. 19, 2018. A previous version of this column stated that Senate Bill 5444 “went nowhere.” But it passed the Senate’s Law and Justice Committee and was referred to another committee, where it stalled.